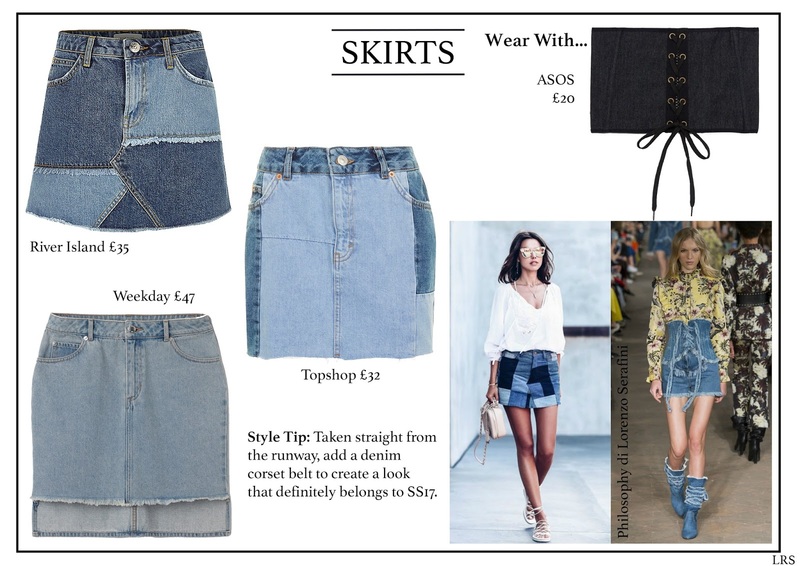 Denim can sometimes be overlooked when we think about building a new-season wardrobe. But that's criminal! 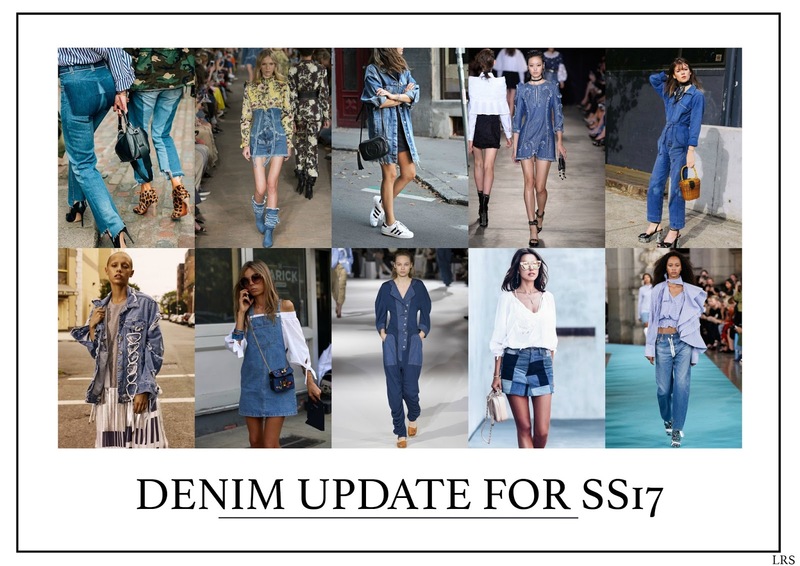 Denim tends to be the foundation piece of any outfit and, like everything else we buy, it gets an update or reinvention every season. Say hello to the key pieces you'll need for SS17. It's time to put away the dark skinny jeans and welcome in a looser, lighter designs. 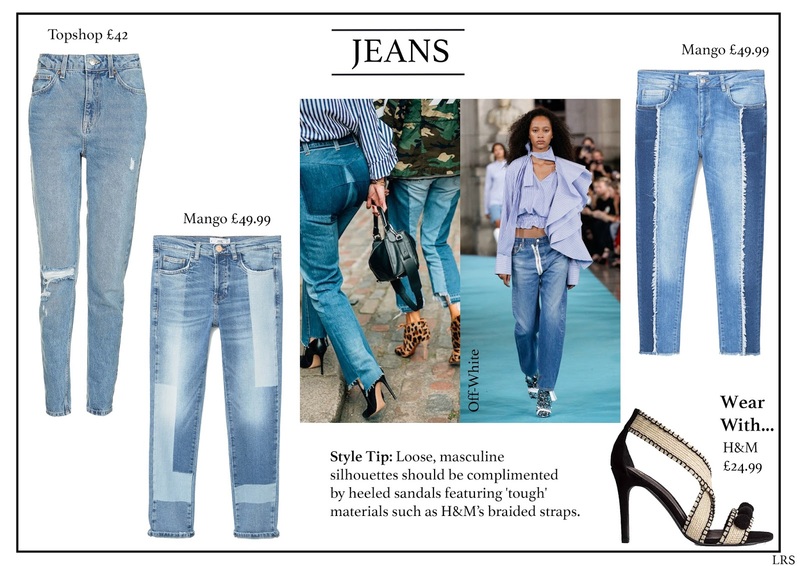 As seen on the Off-White runway, the Mom Jean shape has taken over with a rougher, bleached material favoured. On the high street, Mango reflects the street-style love of patchworking shades and frayed edges. Style Tip: Loose, masculine silhouettes should be complimented by heeled sandals featuring 'tough' materials such as H&M’s braided straps. Yes! 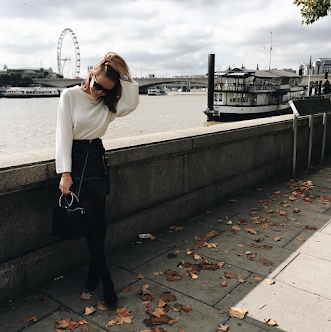 It's finally skirt season! Hello bare, tanned legs. Like jeans, it's all about the deconstructed look with frayed edges and patchwork print. Mix it up by choosing a skirt with different lengths or different shades of blue. Style Tip: Taken straight from the Philosophy di Lorenzo Serafini runway, add a denim corset belt to create a look that definitely belongs to SS17. The three main themes for SS17 are 'slogan', oversized and distressed. 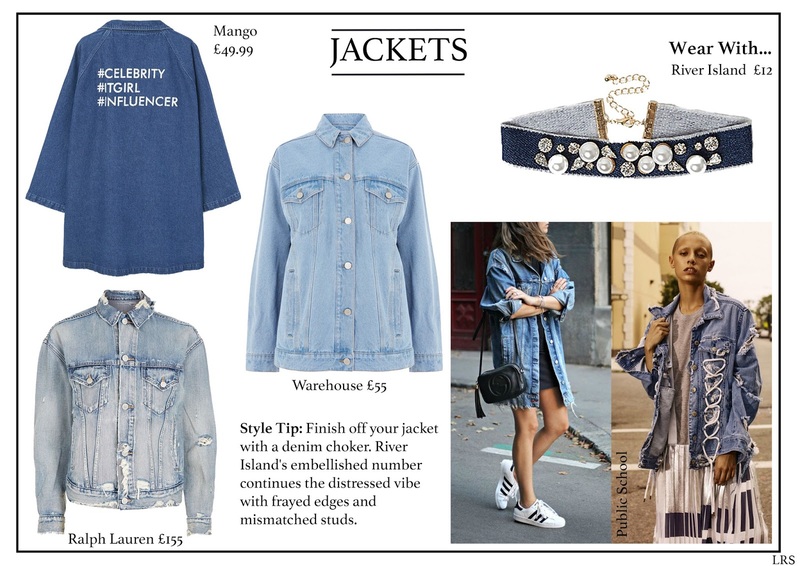 Mango's 'empowerment' printed jacket is SO insta-worthy, while Warehouse provides effortless street style cool. For the brave ones, copy Public School and take distressed to the maximum. Style Tip: Finish off your jacket with a denim choker. River Island's embellished number continues the distressed vibe with frayed edges and mismatched studs. 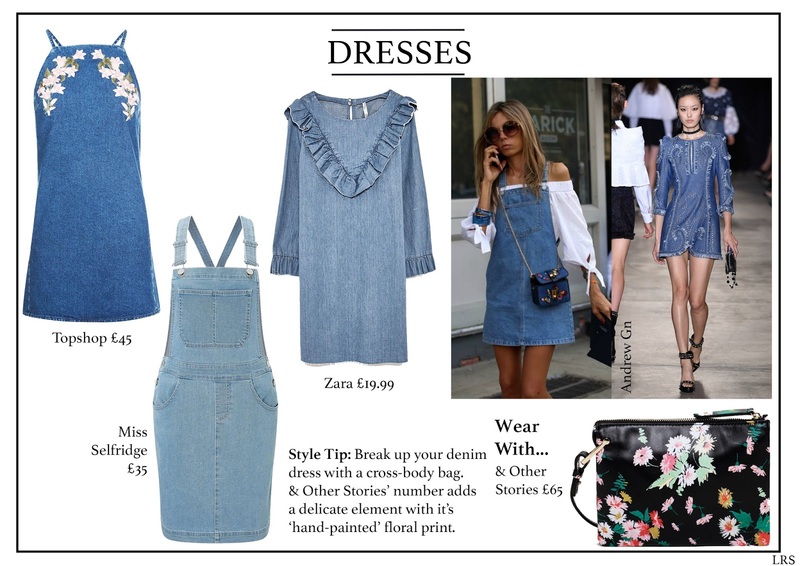 Denim dresses found their popularity during the noughties' obsession with boho chic and they're still just as popular today. Choose between casual simplicity with a dungaree dress or copy Andrew Gn with ruffles and studs. Style Tip: Break up your denim dress with a cross-body bag. & Other Stories’ number adds a delicate element with it’s ‘hand-painted’ floral print. Previously reserved for the more casual or physical occasions, denim jumpsuits have now found a place in our workwear and/or formal events wardrobe thanks to the return of the utility trend. As seen on the Stella McCartney runway, jumpsuits are now a symbol of minimal, practical dressing that is so popular this season. Style Tip: Add some feminity and colour to your all-in-one by tying a bandana around your neck. Choose bright prints on a 'silk' texture.